Precious metals futures ended higher Friday but most of them declined on the week. Palladium was the stand out on the day and week, posting another record settlement. Gold’s gain on day was its first in six sessions. Gold for April delivery rose $4.30, or 0.3%, to settle at $1,318.50 an ounce on the Comex division of the New York Mercantile Exchange. "Macro concerns in the global economy continue to underpin gold’s safe haven status, and the buying interest just happens to be accumulating around the $1,300 level," Reuters quoted Ronan Manly, precious metals analyst at Singapore-based dealer BullionStar. Gold futures dipped 0.3% this week after two weekly gains of 1.9% and 1.2%. The yellow metal is 2.9% higher on the year to date. "Fifteen market professionals took part in the Wall Street survey. There were 11 votes, or 73%, calling for higher prices. There were two votes each, or 13%, for both lower and sideways. Meanwhile, 467 respondents took part in an online Main Street poll. A total of 259 voters, or 55%, called for gold to rise. Another 129, or 28%, predicted gold would fall. The remaining 79 voters, or 17%, see a sideways market." Elsewhere, silver for March delivery gained 9.6 cents, or 0.6%, to settle at $15.809 an ounce. Silver futures fell 0.8% this week after rising 1.5% last week. The precious metal is 1.7% higher on the year. April platinum rose $5.20, or 0.7%, to $802.50 an ounce, but registered a 2.9% weekly decline. Palladium for March tacked on $13.10, or 1%, to $1,371.20 an ounce — another all-time record settlement. Palladium futures rallied 4.4% on the week. Both are higher on the year so far with increases of 0.2% for platinum and 14.5% for palladium. Gold rose $4.85, or 0.4%, to $1,314.85 an ounce. Silver added 7 cents, or 0.5%, to $15.78 an ounce. Platinum fell $6, or 0.7%, to $799 an ounce. Palladium declined $4, or 0.3%, to $1,394 an ounce. In LBMA weekly results, palladium gained 1.9% while the others logged losses reaching 0.3% for gold, 1.4% for silver, and 3.2% for platinum. 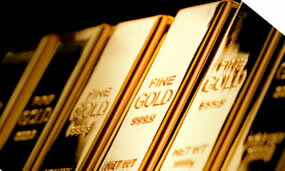 Gold bullion coins rose by 7,500 ounces after rising by 5,000 ounces last week. Splits include 4,500 ounces in American Gold Eagles against 4,000 ounces previously and 3,000 ounces in American Gold Buffalos versus 1,000 ounces previously. American Silver Eagles climbed by 255,000 ounces after advancing by 116,500 ounces last week. American Platinum Eagles rose by 900 ounces after climbing by 2,000 ounces last week.